The things in life that remind us of the joys of space camp may be few and far between, but when they come along though we embrace them thoroughly. One such example is NASA App HD, an interactive educational experience that will have you dreaming of nebulas and black holes like never before. 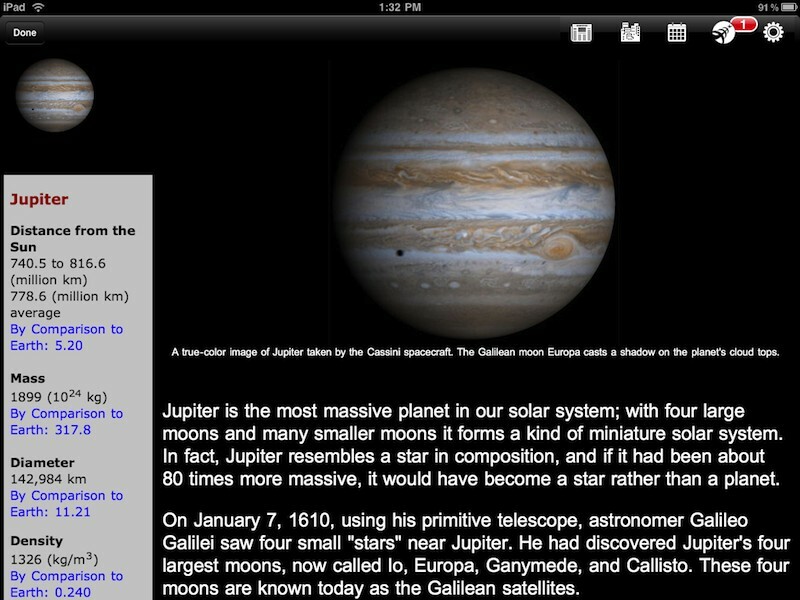 NASA App HD for iPad features everything from latest news, information about the planets, an agency calendar, a locator for NASA centers in the US, and more encyclopedic space information than you’d probably find in an old astronomy textbook. In addition to streaming a NASA related Twitter list, the app also features the people who work at NASA and the history of the government organization. 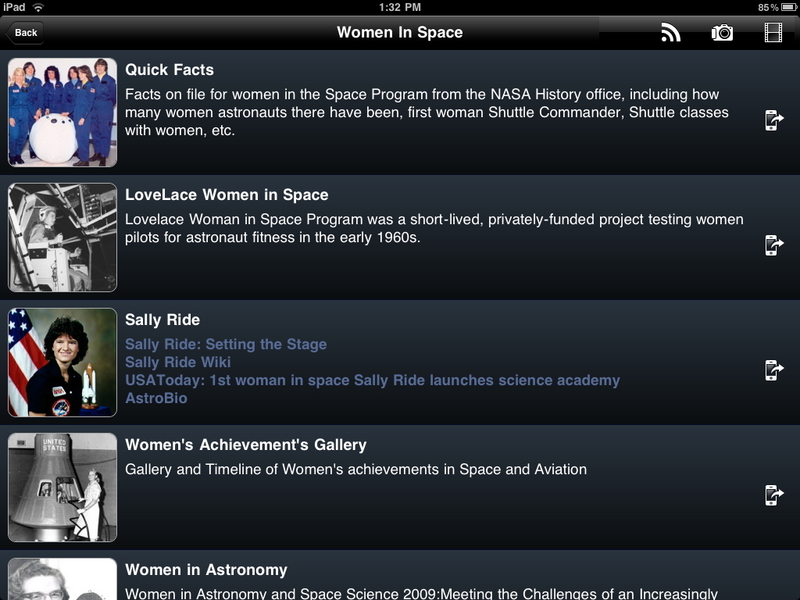 You can watch videos, see what’s in orbit and read quite a bit about each of the bodies in our solar system. All said and done, you could spend hours with this app and still feel like there’s more to explore. The app itself is a bit difficult to navigate at first, but as soon as you embrace the fact that the layout isn’t perfect and this is more of an exploratory experience than a space-information-on-demand app then NASA App HD is much more enjoyable. 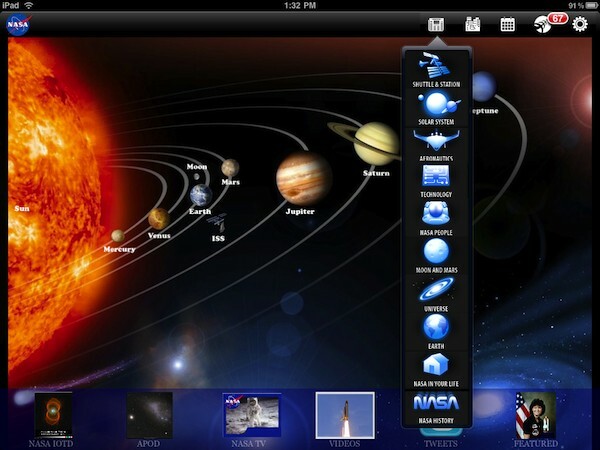 On its most basic level you can navigate NASA App HD from the home screen that includes a clickable lineup of the planets and a bottom of the screen toolbar that divides the app into IOTD, APOD, NASA TV, Videos, Tweets, and Featured. If you’re not connected to the internet the app is basically useless (nothing works except the fundamental display of the menu page), but when you’re online you can jump into each of the sections and start exploring. My favorite features on the app include the embedded video and pictures section that shows incredible imagery narrated with text that can display or disappear with a simple click. These are the features that make the app great. Sometimes it feels like NASA falters though. The second you get deeper into the app you start to feel like you’re just experiencing a slightly reformatted version of NASA’s website. The website formatted for iPad issue is most problematic when you get into the newspaper looking icon on the app’s information pages. If you click on anything from Solar System to Technology or Universe the app jumps to a webpage layout complete with tabs across the top. When it comes to the natural structure of app design you get the sense that you probably shouldn’t click on these site buttons. If you do happen to click on a button it will likely load another webpage looking screen (or one time the entire app crashed). If you reach any video via this type of navigation Flash won’t let you play it, making for a slightly annoying app experience. 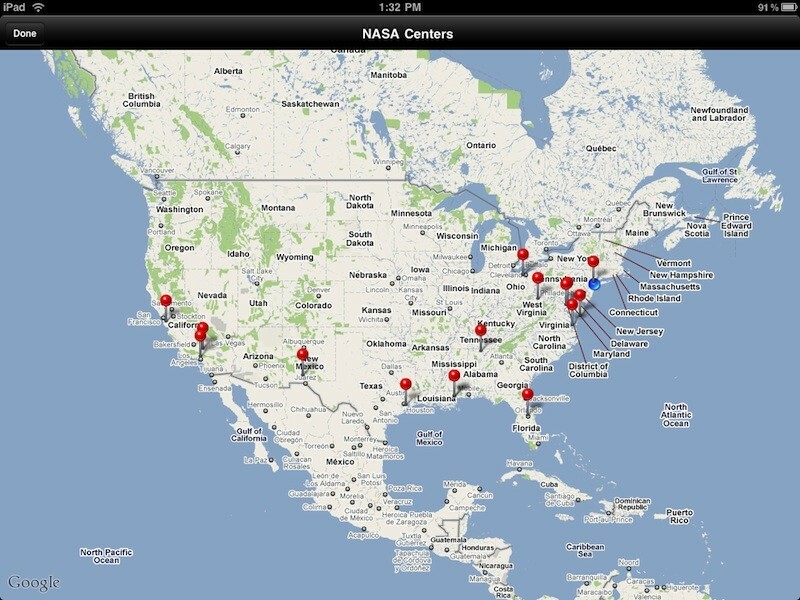 That said, we’ve got to remember that NASA is a free app after all and it does deliver a ton of information. The overall layout might not be perfect, but if you’re willing to deal with the little hiccups you’ll certainly enjoy your very own iPad version of space camp. Bottom Line: NASA App HD may not be the smoothest app around, but it boasts more information than just about any other app I’ve seen and it will get you thinking about the wonders of space. You can’t beat the price tag so this is a must download.